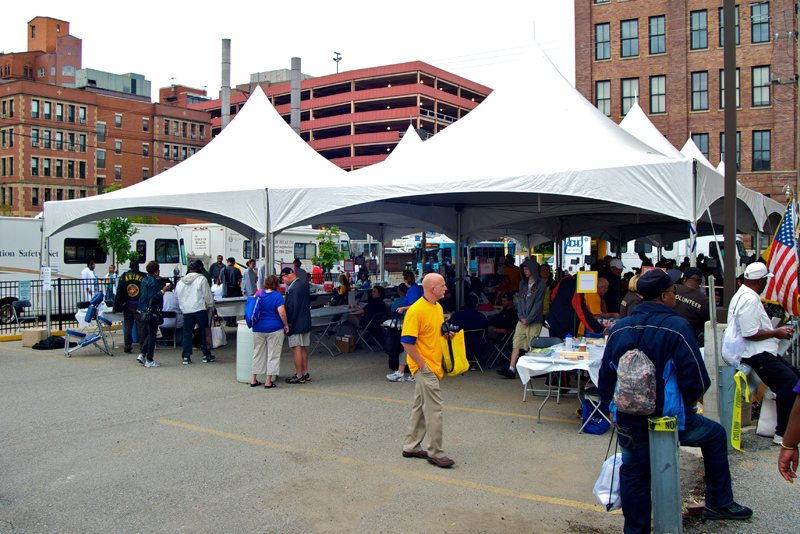 The Center for Pharmacy Services provided health screenings for homeless veterans and their families at Stand Down Pittsburgh on Saturday, August 10, 2013. Nearly 600 persons attended the event, which was organized by Veterans Leadership Program of Western Pennsylvania. "STAND DOWN" is a military term, which refers to fresh troops taking care of exhausted combat troops by moving them from the battlefield to an environment that is safe and secure. The depleted combat soldiers are given medical attention, food, fresh clothing and an opportunity to get cleaned up, rest and recuperate. 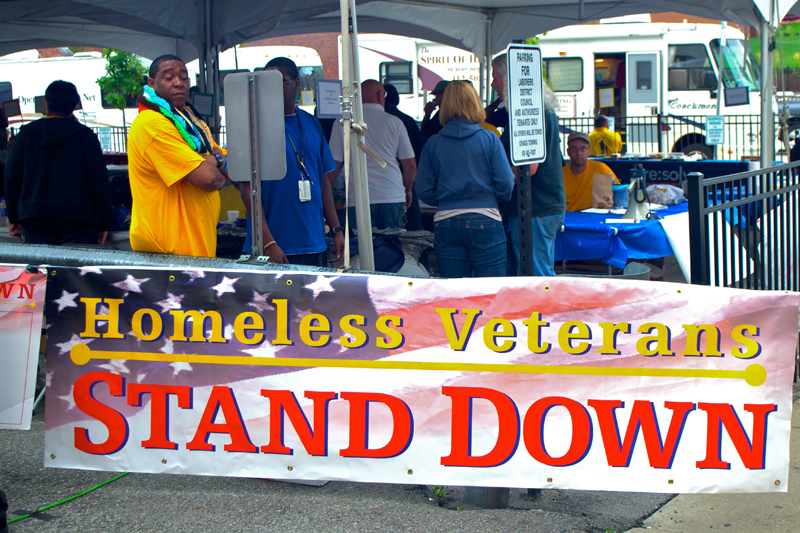 Similarly, on August 10th, the Pittsburgh community came together to host Stand Down 2013, an intensive service fair for homeless veterans and their families, offering a daylong respite from the streets and a real opportunity for individuals to put their lives back together. The Center for Pharmacy Services was among 60 service providers who attended the event to provide assistance to homeless veterans.